Travel back with me to the early days of November, when the air was crisp, the leaves were turning, and Adrian Hon (of Mind Candy and Perplex City fame) was giving a talk about ARGs at the Montreal International Game Summit. Bursting with optimistic joy, I set out early that morning, got hopelessly lost, wandered around in befuddlement for an hour, concluded that the address I was looking for didn’t actually exist, and eventually was directed to the right location, at which point the ARG gods decided that they’d mocked me enough for one day, because I arrived just in time to catch the beginning of Adrian’s presentation. For the benefit of the general gaming audience, Adrian started out with two traits that set ARGs apart from other, saner modes of entertainment. For one, he noted, ARGs are intensely immersive. They haul players into the story, coming at them from all sorts of media. Secondly, ARGs involve a social, collective sort of play. The tasks and puzzles that the players are set require them to work cooperatively, leading to the growth of incredibly strong player-built and -maintained communities. It’s worth taking a moment here to note that Adrian’s slides formed a cube (the notorious object at the core of Perplex City’s plot), which rotated with each change of slide. It was beautiful. Adrian went on to give an interestingly untraditional overview of ARG’s history. Alternate reality gaming, in its current form, began with The Beast in 2001, but the roots of the genre, such as its core concept of fiction that presents itself as reality, go back much further. For instance, if we go all the way back to 1875 BC, there exists a set of Egyptian documents that, judging by the number of remaining copies, comprised ancient Egypt’s most popular story. The 4000-year-old documents tell a fictional tale via realistic letters between correspondents. For a more recent and well-known example, Adrian mentioned War of the Worlds, the fiction-masquerading-as-news-broadcast account of an alien invasion that caused mass panic and, when broadcast in Chile, even prompted one province to mobilize the army. A few years back, The Blair Witch Project became a hit with its documentary-style filming and “hey, maybe it’s real!” gambit. The notion of fiction that could be real is a compelling one. ARGs seized hold of the notion and ran with it. Modern ARGs, Adrian noted, have the advantage of the internet, a medium that allows for the existence of real-time games played out over long periods. However, they also take advantage of the possibilities offered by other media. To emphatically prove his point here, Adrian showed a video of the Perplex City real-life event that had recently taken place in London. The video showed players on a scavenger hunt of sorts, following a trail of clues that ultimately led them to a helicopter launch pad. At this point, one of the group (who had been pretending to be a player all day, but was in fact an in-game mole) got into the helicopter and flew away, leaving the bewildered players hurling insults at him. After showing the audience just how amazing ARGs can be, Adrian went on to cover some of the challenges facing the genre. For instance, it can be difficult for new players to join a game that’s already in progress, since there tends to be a lot of information to absorb. Once a game finishes, it can’t be replayed; each game goes through its run and stops. (However, as Adrian pointed out, there’s the ARG that was actually being rerun. The Regenesis Extended reality game ran parallel to the broadcast of its Canadian television show namesake. As the series was re-broadcast, the game restarted right along with it.) Also, there’s no completely reliable way to tell how many people are playing any given ARG, since counts of registrations and unique IP addresses can only tell so much. Challenges aside, Adrian wrapped up by giving his view of how ARGs might develop in the future. ARGs, unlike most video games, are primarily focused on the story, and so they offer unique possibilities to advertisers whose products involve a story. ARGs have therefore been gaining the interest of television and similar media industries. Instead of simply promoting a product, an ARG can extend the story, fill in the gaps, and make players deeply invested in the fictional world. Adrian sees a great potential for traditional storytelling media like television to begin incorporating ARG-like elements and using different media to create exciting immersion. 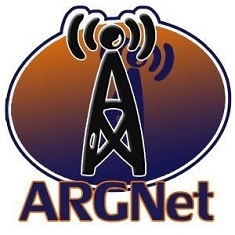 Instead of just using webpages, for instance, they could have radio stations interview fictional characters, “the equivalent of having Harry Potter on CNN.” Using the tools developed by ARGs, stories can branch out and reach into people’s lives. As Adrian concluded, “we’re only scratching the surface of what’s possible.” Who knows how much excitement lies ahead, just waiting to be scratched?